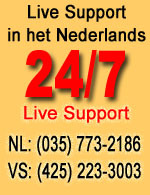 USA2YOU.nl: Any USA Store @ Your Door! If you want to buy something online from a US-based store and have it shipped to you anywhere in the world, then you’re at the right address! Because that’s what we do at USA2YOU: we literally bring "Any USA Store @ Your Door"! Retailers in the US have a wide range of products and usually very good customer service, but when shopping on-line you'll notice that they generally don’t ship internationally and often do not even accept foreign credit cards. And when they do offer "overseas" shipping it’s often at outrageously inflated rates. It's like they try to make up their low prices with sky-high shipping rates! The unfortunate truth is that you get stuck looking at beautiful sites and products, but ordering and delivery is not so easy, if not impossible! What’s one to do? USA2YOU offers the solution to this problem. With experience in international shipping since 1987 (now more than 100,000 packages shipped!) you can expect your order to be handled fast & efficiently at minimal cost compared to what a store would charge you to ship direct. Because of our daily volume, we get phenomenal rates with FedEx. Other stores can't even touch what we charge. And you get to profit from that, too! With this service you use our American address in Washington state (near Seattle) as your "domestic" shipping address and have your purchase delivered there. Most stores will ship domestically at no cost with a minimum order. Upon receipt of your items at our US address, we inspect the contents to make sure that what you ordered was indeed delivered (you won't believe how often we pick up on shipping mistakes like mismatched shoes, or the wrong color or size for an autopart). We then take care of (re)packing and prepare the customs paperwork for international shipping to your address anywhere in the world via USPS Priority Mail, FedEx or UPS. Because of our volume we get large discounts from FedEx and UPS which results in lower prices than you'd be able to get yourself. However, since June 2018 companies sending internet orders to a different state now have to charge the local sales tax rate. It used to be that internet companies would only charge sales tax to in-state deliveries, but now they have to charge sales tax for deliveries to ANY state. USA2YOU, on the other hand, is (as a reseller) exempt from sales tax, so in most cases it's less expensive for the customer if WE make the purchase... and that's our Shopping Service. Shopping Service means that in addition to the above, we also make the purchase for you. You simply tell us what you want us to buy and where to buy it - we then place the order, charge it securely to our corporate credit card and have it shipped to our Washington address. We check the contents to ensure the correct items were sent, (re)pack, prepare the customs paperwork and then ship it to you anywhere in the world. How much does this cost exactly? The cost of our service, a flat fee of €35 for the first 2 shipped boxes plus –if applicable- a 5% fee on amount that we charge on our company credit card if we take care of the purchase. All costs are quoted to you in advance, so you know exactly how much something will cost. Shipping costs of course will depend on weight, and in some cases also on size. Because of the daily volume of business that USA2YOU does with FedEx and UPS, we get large volume discounts on their regular rates. Ordering together with colleagues or friends would bring shipping costs even further down and orders from multiple sites for one customer can be combined into a single shipment at no additional charge. There is a €35 Shipping Fee for the first two shipped boxes, each box thereafter is €10 additional. The original boxes of the retailer or department store are replaced by generic boxes, if needed. In other words: boxes that do NOT state which (expensive) retailer or department store they came from. If we arrange the purchase for you (our Shopping Service), a 5% Shopping Service fee is added to the total purchase price. Easy! Simply complete the online quote form on our site. After submitting, you will receive an no-obligation offer - usually within 24 hours. You can then confirm by making a money transfer into our Dutch account or by paying using PayPal to our Dutch or American PayPal account. (there's a 3.9% surcharge for PayPal because of the international fees they charge) We will then place the order for you if it's a Shopping Service. For Shipping Service you can simply arrange shipping to our US address after you receive the quote and accept it. and finally: when we ship the items to you. All shipments come with a tracking number and are insured on request. Entire site ©2008-2018 usa2you.nl, inc. All rights reserved. Copying is a violation of applicable copyright laws in The Netherlands and the US. Guido is watching.